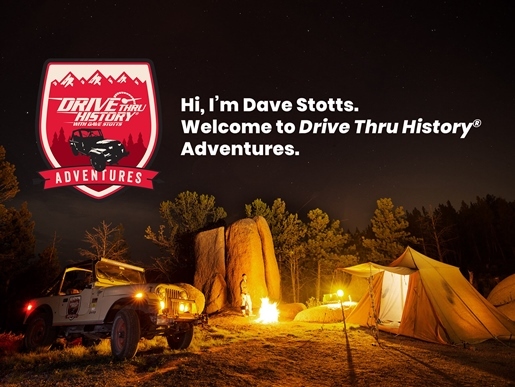 We are excited today to share with you our review of Drive Thru History Adventures . Drive Thru History is an online based study of history using videos, illustrations (art), readings ( documents & teachings),discussion questions, worksheets, and a dig deeper section. History for the whole family, this could be used for younger children ages 5-11 using videos and asking a few simple questions in the discussion guide. We are doing the American History 12 week program. It is taught from a biblical worldview and teaches the tenants of the christian beliefs from history. After all when folks were coming to America they were seeking a freedom to worship as they wanted and not be held to the traditions of others beliefs. I will admit that even at 53 , I know I learned some things I never was taught in school, this makes me really happy that I am homeschooling my children! This has taken us off on some real “bunny trails”. Starting with Lesson One, the children were asking me questions, asking me to stop the video so we could talk about things and this has led to some in depth family history study for us and doing our family tree to learn where we came from and where we are going ! One of the funniest things was when I stopped the video when my teen girls asked where our family came from, I told them we came from several places and our families immigrated here ! (mind you they are sorta of opinionated on the Trump Immigration changes and whats been going on and in the news) So they are like yelling ” What we were immigrants ? So why can’t other people come here to live freely ? ” So this led to a very long talk about today’s news and what it really means for others seeking to become Americans and how that is all suppose to work in the future. Its been very interesting to say the least. We have really had some fun with this and I can’t wait for more ! 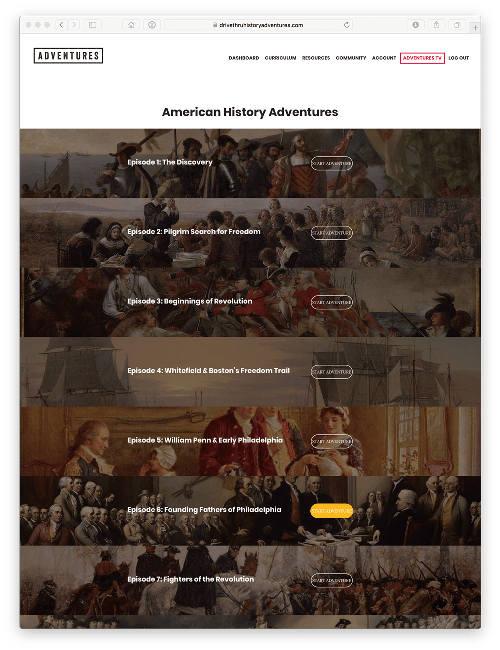 If you are looking for a Homeschool Video Curriculum for American History, Bible History, or Ancient History you are going to want to check out Drive Thru History Adventures. Dave Stotts is an Awesome and Fun History Buff and he has taken us places we never would have gotten to see or experience! A real unique understanding of American History in a way that I don’t think anyone else can do. This has really got the children thinking and made History fun for us. It sure beats books, and tons of paperwork ! Everything is laid out in a neat and concise way, making things easy to find and to go back to. The website it self is so easy to use and this made our learning from it quick, leaving more time for fun and the adventure ! I am able to go in , watch the video ahead if I want to do that, print out some worksheets ( I save my own ahead of time in a folder on my pc , along with any documents I print off for the study ) and we are ready, no huge pre-planning on my part is needed. And you can take any side trails as your kids are asking questions ! ( stop the video and start it as you go ) So easy !!! We really love Adventures TV, we were able to access our lessons from our phones and tablets. Available on both iphone and android ! (iphone, ipad, android phones & tablets) So no matter where you go , no matter where you are… Dave can come along and learning can happen anywhere ! With my kids the teen girls are more independent and watch from their iphones, while Daniel and I tend to watch on our desktops ! When we go out my Galaxy Note Pro 12.2 inch Tablet goes with us ! Drive Thru History Adventures has some specials going on right now ! There is a special on the Gospels DVD and also there is a code for readers in the Winter Edition of The Old Schoolhouse® Magazine. where you can enjoy the articles and find a code for 20% off in this recent edition ! Would you like more views , you can find more reviews by clicking on the picture below! This entry was posted in History, Homeschool Reviews, Reviews and tagged Drive Thru History, Homeschool Bible Curriculum, Homeschool History Curriculum, Homeschool Video Curriculum, Homeschool videos on February 27, 2018 by Linda Marie Finn. it is a good program isn’t it? I have to say that I absolutely love it and have learned a lot even as an adult !